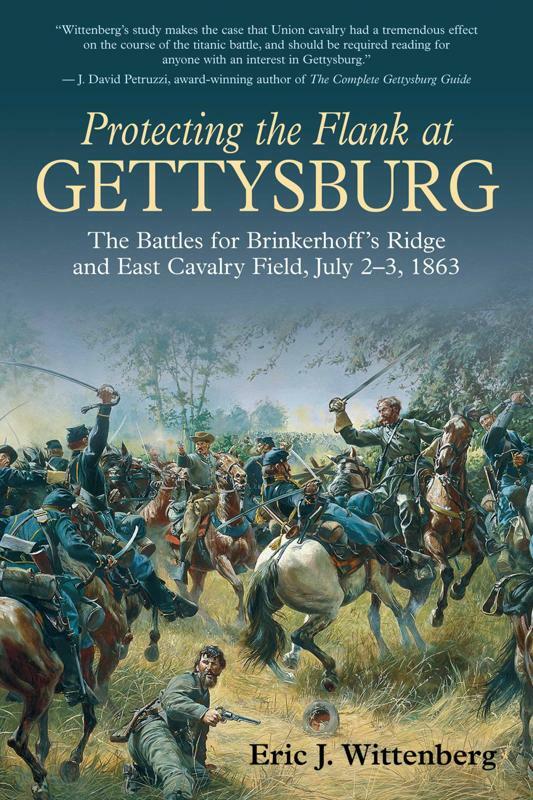 The Friends of the Bentonville Battlefield are putting on what promises to be an excellent seminar on September 14-15, 2013. The focus of the program is the Civil War in North Carolina in 1865, and it promises to be a first-rate offering. Saturday’s program will be in Smithfield, and then there will be a battlefield tour led by Mark Bradley and Ed Bearss on Sunday. I’m honored to be on the program with the finest scholars of the 1865 Carolinas Campaign working today. 8:00 am to 8:45 am Welcome and Refreshments. Paul A. Johnston Auditorium at Johnston Community College. 8:45 am to 9:45 am Robert M. “Bert” Dunkerly. The Confederate surrender in North Carolina. 11:15 am to 12:15 pm Dr. Chris E. Fonvielle. The Wilmington Campaign. 1:00 pm to 2:00 pm Eric Wittenberg. Cavalry during the Carolinas Campaign. 2:15 pm to 3:15 pm Dr. Mark L. Bradley. The Battle of Bentonville. 3:30 pm to 4:30 pm Keynote speaker: Edwin C. “Ed” Bearss. The program benefits the Bentonville battlefield, and will be a terrific event. See you there! The new edition of Protecting the Flank is at the printer! The new edition of Protecting the Flank is at the printer! That means that in about a month, we will have books. I’m really excited about the new edition. The original edition was always one of my favorites, but it was a bit muddled in places, and the spacing of the book always bugged me. Further, new material surfaced after it was published in 2002. And then we have a cretin who posted a negative review of the first edition of the book because the first edition failed to address Carhart’s festering pile of turds. Given that the book was published two years before Carhart’s, that would have been a really neat trick to have addressed a theory that had not yet been articulated, but this moron, not to be deterred, nevertheless found fault with my book even though he had never read it. Nifty, eh? Well, the good news is that the new edition not only deals with the festering pile of turds, it blows his nonsensical theory right out of the water. The new edition includes a lengthy discussion of it, as well as a second new appendix that answers the question of which Confederate battery fired the four shots that were fired at the outset of the battle. There is an additional map. There are a number of new illustrations, and there is a fair amount of new material in the book, including new primary source material that nobody else has ever used in an account of the fighting on East Cavalry Field. For those interested in purchasing a signed copy, please contact me, and we will get it done. And thank you to all for your patience while this new edition made its way through the labyrinthine publishing process. Time for a good rant. I haven’t had one in a long while. 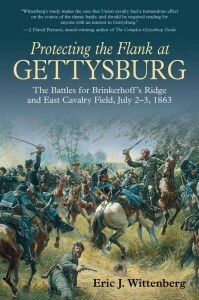 I was recently asked to write a review of this book for the next issue of Civil War Times magazine. I have lots of serious problems with this book–the author did virtually no research before writing it, and it is also horribly deficient in maps–but it also features my pet peeve about books. When a new Civil War book is published, the first thing that I do is to look at the bibliography, as doing so tells me what sources were consulted by the author in writing the work. More importantly, a review of the bibliography shows me how deeply the author has delved into the primary sources, and in particular, into manuscript sources. If a review of the bibliography does not demonstrate a deep job of researching the primary sources by the author, I will not purchase the book, on the theory that it adds nothing. I simply cannot take a book that does include a bibliography seriously. My pet peeve is when there is no bibliography at all. 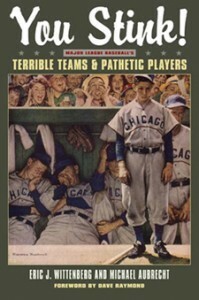 The book I just reviewed has no bibliography, and Carhart’s festering pile of turds does not have one either. The failure to include a bibliography permits a lazy, or worse, intellectually dishonest (see Carhart), author to hide his or her lack of research. The failure to include a bibliography permits the author to avoid being held accountable for his or her poor work and lack of substantive research. In the case of Carhart’s book, the failure to include a bibliography permits Carhart to hide the fact that he simply manufactured “facts” when there were none in the historical record to support his preposterous theory. With respect to the book that I just reviewed, the lack of a bibliography hides the incredibly shallow scope of the author’s research. The endnotes indicate that he used primarily secondary sources, a few commonly available published primary sources, and a handful of materials readily available on the World Wide Web. There is not a single reference to the Official Records, there is not a single reference to any manuscript sources not available on line, there is not a single reference to newspaper materials, and there are no references to any primary source research of any significance. That bibliography would, undoubtedly, have been embarrassingly short, which is probably the reason why it was not included. I view the failure to include a bibliography in a book to be at best lazy and at worst the perpetration of intellectual fraud. And I categorically refuse to buy any book that does not include one because I don’t believe that any such book has anything whatsoever to add to the body of knowledge. If I buy the book, that sends a message that it’s okay to publish such works, and I never, ever want to do anything that could even remotely be construed as promoting the publication of such works. Personally, I WANT the reader to see how much work went into researching and writing one of my books. I WANT the reader to see just how much effort goes into one of these projects before I ever set pen to paper. I am proud of it. Evidently, these other authors are not, which I cannot begin to comprehend. I had included some discussion of this issue in my review, but there was not sufficient room for all of it, and most of my ranting about the lack of a bibliography had to be edited out. Instead, I figured I would share that rant with you here. What do all of you think about books that lack bibliographies? Please share your thoughts with me here. Here’s some more good news on the “goodbye to ugly buildings on historical ground” front…. The National Park Service is finally able to tear down the hideous Cyclorama building at Gettysburg, which was constructed in a place that never should have been chosen for it, the site of Ziegler’s Grove, in the Pickett’s Charge portion of the battlefield. The family of the architect of the hideous thing protested and dragged the National Park Service through years of needless litigation while the building continued to deteriorate. It’s finally time to be done with it. (Gettysburg) — The National Park Service has chosen to demolish an architecturally significant building on the Gettysburg battlefield. The Cyclorama building was designed by famed architect Richard Neutra and once housed a 360-degree painting of Pickett’s Charge. The structure, which closed in 2005, has been the center of a struggle between the park service and modern architecture experts for more than a dozen years. In an August interview with witf, NPS spokeswoman Katie Lawhon says tearing down the building would allow the agency to restore Cemetery Ridge to the way it would have looked during the three-day Civil War clash in July 1863. The park service reviewed the environmental impact of destroying the building before making its decision. The agency says demolition could begin later this winter. The Cyclorama painting is now on display at the Gettysburg National Military Park’s visitors’ center. In 1999, the National Park Service (NPS) approved a General Management Plan for Gettysburg National Military Park (NMP) that addressed demolition of the Cyclorama building as part of a long-term plan to rehabilitate the North Cemetery Ridge to its historic 1863 battle and 1864-1938 commemorative-era appearance. 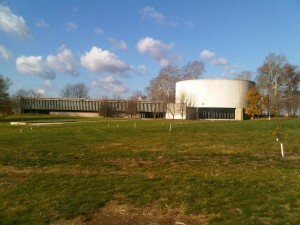 The 1962 Cyclorama building, designed by noted architect Richard Neutra, was determined eligible for the National Register of Historic Places. The adverse effect of demolishing the building was addressed in a 1999 Memorandum of Agreement (MOA) between the NPS, the State Historic Preservation Officer and the Advisory Council on Historic Preservation. All mitigation in the MOA has been completed. Accordingly, the NPS initiated an environmental assessment (EA). The Environmental Assessment planning process – The park prepared the EA with assistance from the regional office and with input from the Northeast Regional Solicitor’s Office and the WASO Environmental Quality Division. The EA evaluated three alternatives: the NPS preferred alternative to demolish the building; another action alternative to allow a third-party to relocate the building outside park boundaries; and the no action alternative to mothball the building in place. The EA was released for a 30-day public review and comment period that ended on September 21, 2012. 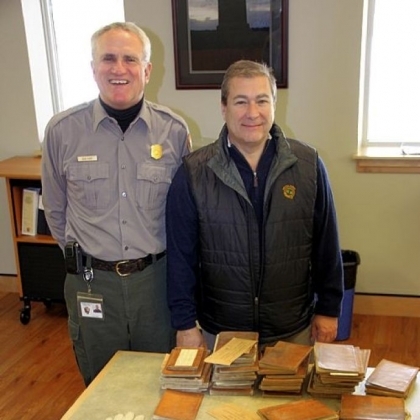 Over 1,600 pieces of correspondence were received on the EA. The majority of commenters supported demolition of the building in order to rehabilitate the battle and commemorative landscapes. All substantive comments have been addressed in consultation with the regional office and the Northeast Regional Solicitor’s Office. No changes to the NPS preferred alternative were warranted as a result of public comment. Next Steps – Gettysburg Foundation has funds for the demolition of the building and for most of the rehabilitation of Ziegler’s Grove. The first steps in the project will be several weeks of asbestos remediation. Once the building is demolished, the battle and commemorative-era landscapes will be rehabilitated according to the treatment recommendations contained in the 2004 cultural landscape report (CLR) for the North Cemetery Ridge area which include returning monuments to their historic locations, rebuilding commemorative pedestrian pathways and rebuilding historic fences. At the request of the Civil War Trust, I’ve written an article on the fighting for Fleetwood Hill that occurred on June 9, 1863. That article was posted today, and can be found here. I appreciate all of your help and support for our efforts to preserve THE most fought-over piece of ground on the North American continent.